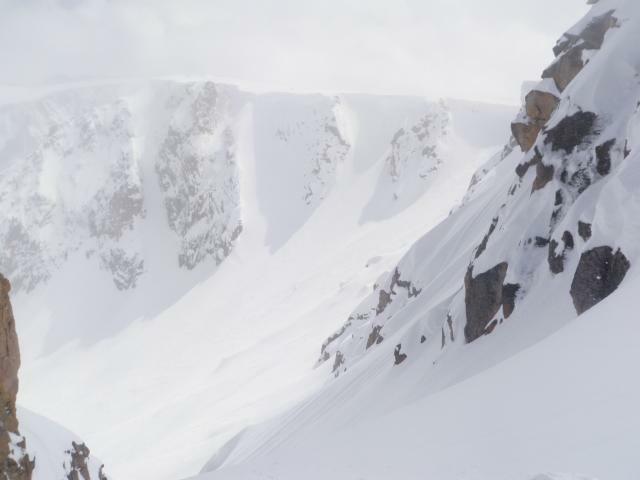 This area is a steep bowl off the SE face of Knobtop in Rocky Mountain National Park. 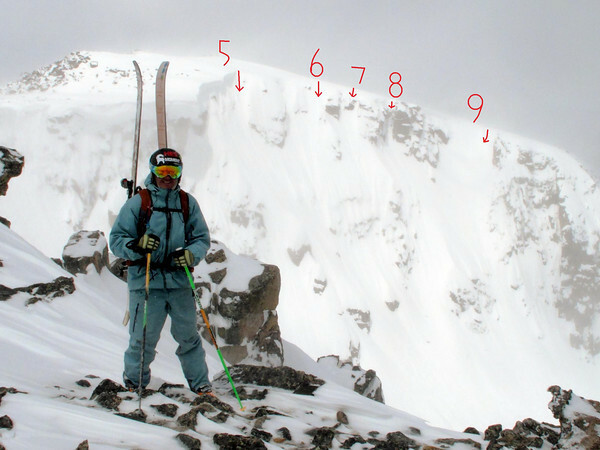 It was believed to be first skiied in April 2011, due to perfect conditions and timing. 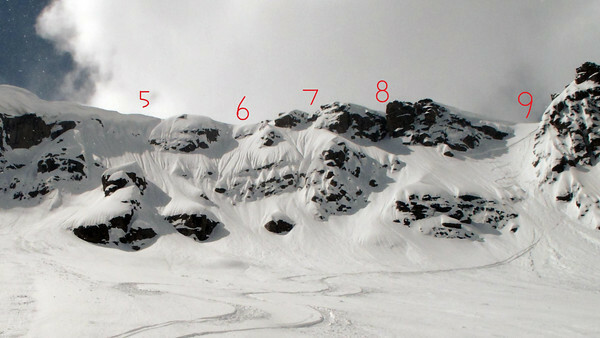 There are 9 potential routes in the Mini AK cirque. Some of these lines can go at 60degrees and the easiest goes just above 50 degree angle. 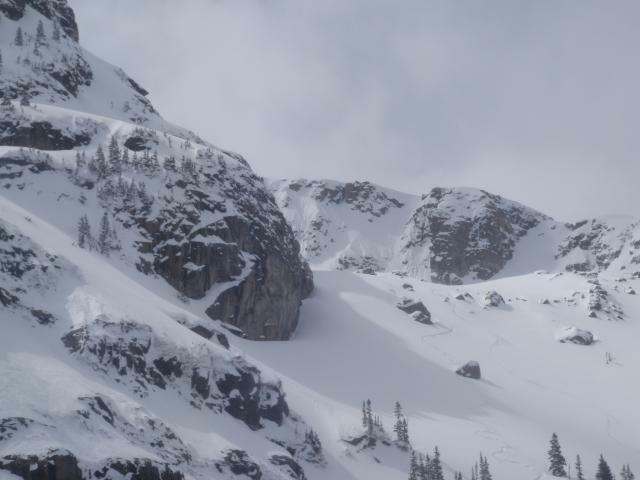 This area has huge avalanche potential combined with mandatory airs and questionable safety zones. Enter Rocky Mountain National Park from the East side and make a Left towards Bear Lake. Follow this road until it dead ends at the Bear Lake parking area and Park. Here one can go two ways to hike to Mini AK. The route that was taken by the first decent party was to the top of Flattop and then around the Ptarmagin glacier past Notchtop approaching Mini AK from the top. 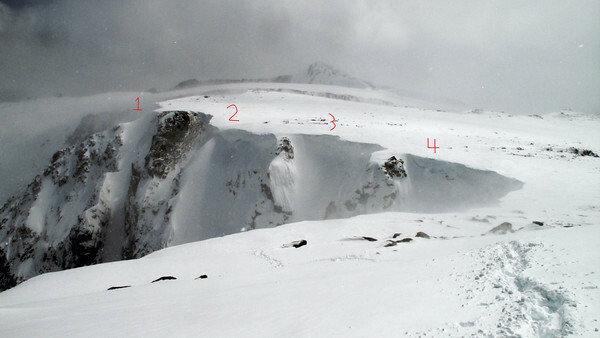 You can approach from the bottom and climb the ski route or maybe the east ridge of Knobtop could access the top. 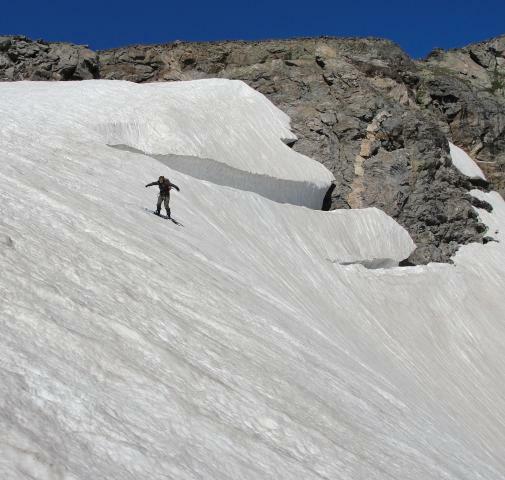 This may require some smart winter climbing skills.